Warning: While the following essay will not explicitly discuss vital plot details of Sleepaway Camp, it will make mention of the film’s sexual themes, and may skirt close to giving away the film’s notorious twist. Proceed with caution. In recent interviews, famed director John Waters – a man who has spent a career trying to playfully jostle squares and normals with shocking imagery – has casually lamented that being gay is no longer the confrontational political statement that it once was. When Waters was a young filmmaker, the very idea of being gay was not yet part of the media consciousness, and he seems to have taken a great deal of glee in depicting homosexual acts on screen as a form of social revolution. Two men kissing! How shocking! Of course, in the modern age, two men kissing is no longer shocking, and seeing such an act in a film has become downright banal. Millennials don’t care who’s gay anymore. As such, Waters’ old provocative attitudes seem almost quaint. Which, I realize, is a weird thing to posit about a filmmaker who infamously filmed cinema’s most notorious scene of coprophagy. 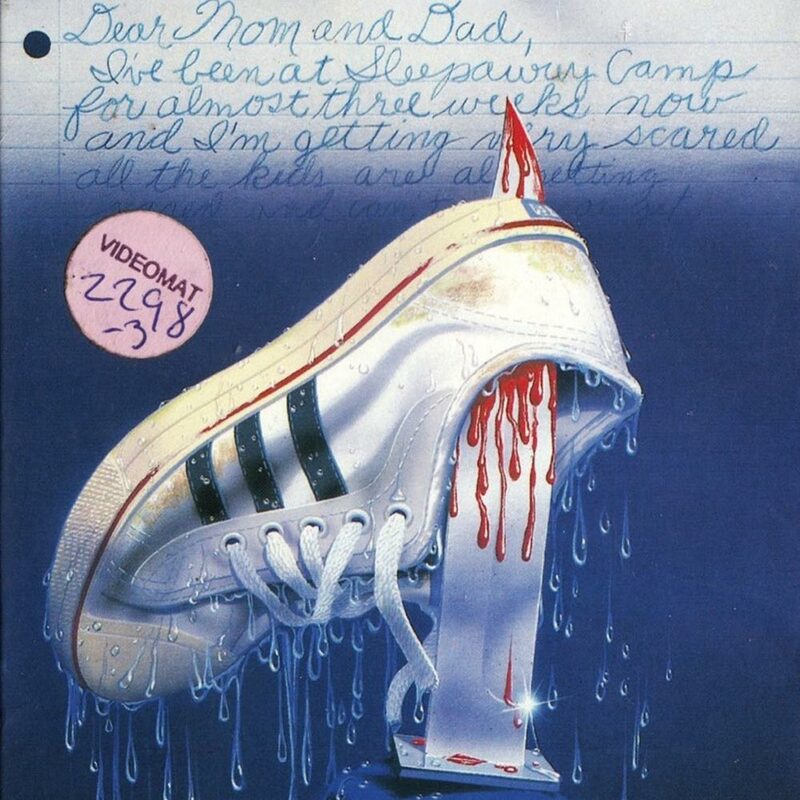 Richard Hiltzik’s deeply gay-coded Sleepaway Camp, showing at the New Beverly on Saturday, February 25th, is, at its heart, another low-budget slasher to come out during the boom of early 1980s slashers. 1983 was the year of The House of Sorority Row, Christine, Amityville 3-D, Boogeyman II, and right in between Friday the 13th parts 2 and 3. Hiltzik has humbly admitted in interviews that he didn’t think he was doing anything daring or particularly striking with Sleepaway Camp; Hiltzik claims he was just making another slasher to fit in with the trends. He didn’t even realize – after the fact – that his film had a cult following or even sequels until years later. But looking at Sleepaway Camp today, modern audiences can see gay coding all over the place. Indeed, like A Nightmare on Elm Street 2: Freddy’s Revenge, Sleepaway Camp has been called a queer classic of the 1980s. 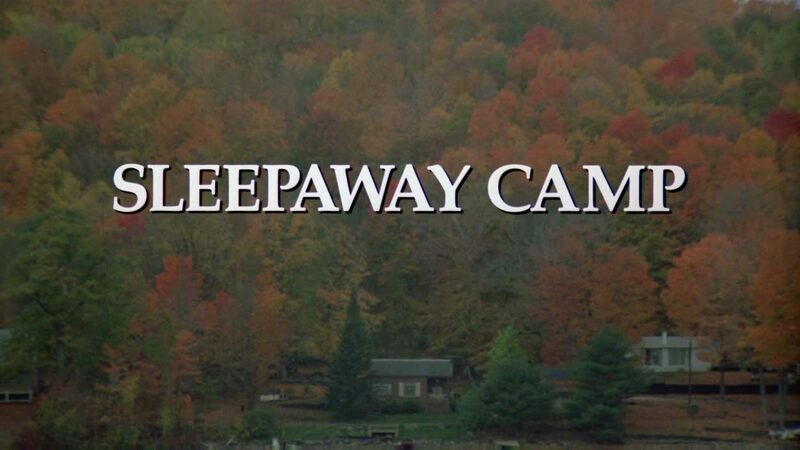 Whether or not it was intentional, Sleepaway Camp has become politically textured. Taking its iconography from Friday the 13th, Sleepaway Camp takes place at a New Jersey summer camp for kids, which is, it must be remembered, once seen as a haven for pure and halcyon adolescent experiences. Into this pure location breaks a series of brutal murders, all of which seem to take place around the shy and withdrawn Angela (pure-born Jersey girl Felissa Rose). Angela, it is explained, has been living through a trauma after seeing her dad and her brother Peter get brutally mutilated in a boating accident. The boat was being piloted, we learn, by Angela’s dad’s boyfriend (!). The sexuality in question is, it can be argued I suppose, depicted in an unsavory light. Indeed, the idea of witnessing a gay couple is tantamount to trauma in some scenes of Sleepaway Camp. But, here’s the thing: the gay characters, while only referred to in flashback, are not the villains of the piece, nor are they the sad sack suicidal ninny stereotypes as seen in so many films of the 1960s and 1970s. If considered in the right light, their sexuality is practically incidental. There’s also a good deal of sexual ambiguity in Sleepaway Camp, as well. Angela has been raised by her eccentric aunt Martha (Desiree Gould) who, when I and several of my peers initially saw her, assumed she was just a really convincing drag queen with her dialogue dubbed by another actress. Her Plasticine performance and disturbingly heavy makeup maker her look practically Martian, and many fans over the years have assumed Martha – and even Gould – might be a trans woman. Gould is not a drag queen nor a trans woman but you can bet that Hiltzik wanted audiences to make that assumption. Consider this: Angela, a shy girl, has been sent to camp, which is, infamously, also a locale where young teens often experience their first sexual stirrings. Angela is quiet and she’s bullied, but she attracts the attention of Paul (Christopher Collet), causing a lot of sexual anxiety to stir within her. We can understand that Angela is having her own first awakening. This is healthy and great. It’s not played for titillation in Sleepaway Camp. The sexuality of the main character is, for much of the film, seen as innocent and sweet. When we eventually learn all of Angela’s secrets – and witness the film’s notorious twist ending – one might implore audiences to recall that sweetness. Angela may have been driven to some pretty extreme acts throughout the course of the film – and what those acts entail I will not reveal – but she’s largely seen as a normal girl going through the usual dramas that an average Jersey teen would actually go through in 1983. A crush on a boy, a horrid crucible of bullying, and a complete lack of understanding of her inner self. This innocence has caused Angela to be held up as a heroine by some audiences. Indeed, the sexuality and sexual politics are so daringly casual in Sleepaway Camp that one can easily argue that it’s more about bullying than it is about sexuality. This is a film about how certain kids are picked on for being different, and how some of them react in extreme ways. This would be a theme visited again in Hiltzik’s own 2008 film Return to Sleepaway Camp, which was actually completed in 2003, and which ignored the intervening sequels. Return was also about budding teen sexuality, but was more about how horrible teens can be to one another, and featured several characters who were savagely bullied, and one who becomes a more horrible person as a result of his being bullied. Hiltzik has continually insisted in interviews that none of his film’s sexual politics were intentional and he was simply thinking of a good way to make a quick buck. Like the great Herschell Gordon Lewis, he saw horror films as a trade more than an art. But, in 2017, it’s easy to look at Sleepaway Camp as something that is sexually and politically daring, and a cult classic that plays incredibly well in a modern milieu. Check it out, and, of course, feel the trashy thrills of a fun slasher flick. But take a second to appreciate how daring the film was, and how salient it remains. Sleepaway Camp screens February 25.